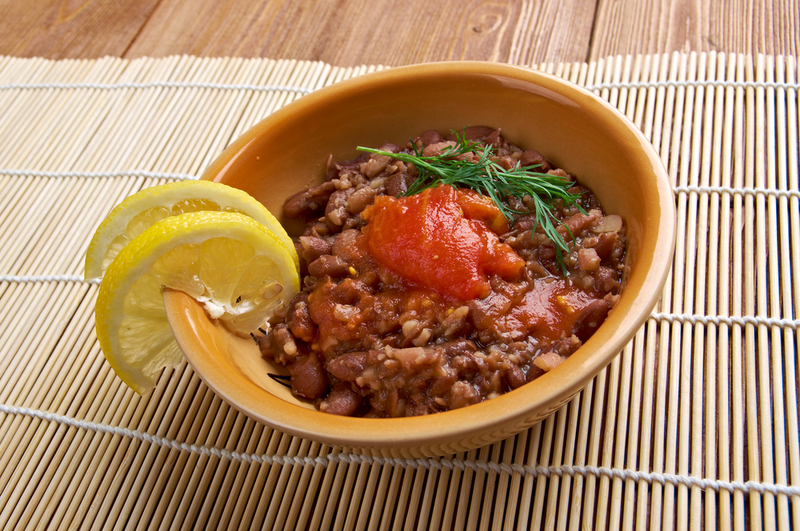 Hearty and filling, yet light enough on the stomach to enjoy early in the morning, the traditional Middle Eastern dish foul medames is one of the best ways to start the day – especially as it is packed full of healthy vitamins, minerals, fiber and proteins. Fül or ‘foul’ is made from slow-cooked fava beans served with vegetable or olive oil and a choice of garnishes such as onion, parsley, garlic, chili, tomato, lemon and cumin, among many other variations. Fava beans are an excellent breakfast food because in addition to containing approximately 8g of dietary fiber and 8g of protein for each 100g portion, they also deliver around 18g of carbohydrate, giving you a quick burst of energy to get your day started. The fiber aids digestion and helps you to feel full so you won’t be tempted to snack before lunchtime, while proteins are essential for repairing body tissues, regulating hormones and the healthy function of the immune system, plus many other important processes. Fava beans also contain significant amounts of the mineral potassium, which promotes healthy function of the heart and kidneys, as well as iron, which is needed for healthy blood. At the same time as providing all of these healthy nutrients, fava beans are very low in fat and contain virtually no unhealthy saturated fats. If you add a little olive oil to your fül you will enrich it with healthy omega-3 and omega-6 fatty acids, which are believed to boost heart health. So go ahead and embrace traditional Middle Eastern culture by starting the day with a hearty dish of healthy and tasty fül.